On October 21, 2017, Zhejiang University International Campus was officially open. About one year ago, Professor Philip T. Krein, a fellow of the American Academy of Engineering, came to Zhejiang University (ZJU) in China. In this university with the reputation as the "Oriental Cambridge", he got a new title as the full-time dean of the Zhejiang University / University of Illinois at Urbana-Champaign Institute (the ZJU-UIUC Institute). The joint institute was established at ZJU's Haining International Campus. As a new model of transnational education, the institute will provide a world-class engineering education by introducing top curricula and resources from UIUC, complemented with equally significant contributions from ZJU. Located in the Hangzhou Bay, a core area of the Yangtze River Delta region, the International Campus covers a land area of approximately 80 hectares, which also hosts the ZJU-Imperial Joint Lab for Applied Data Science and the ZJU-UoE (University of Edinburgh) Institute, etc. With ambitious planning of the Chinese government to build up the Hangzhou Bay area into an engine for economic innovation, or a Chinese version of San Francisco Bay Area, intense amount of attention has been drawn to this new ZJU campus. 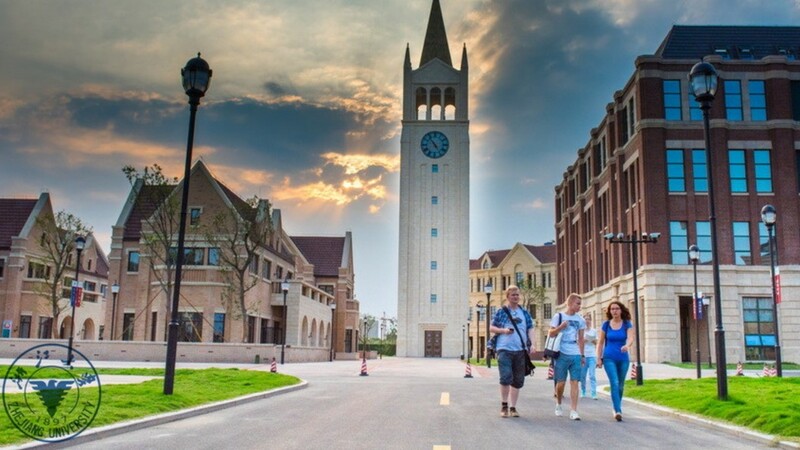 "The construction of the International Campus is another important achievement of the internationalization drive of Zhejiang University," said Professor SONG Yonghua, executive vice president of ZJU and founding dean of the International Campus. After many years of internationalized school-running practice, ZJU developed a "4S Global Strategy" in 2013 that is distinctive and effective, namely "strategic", "substantial", "sustainable" and "service-oriented". "Based on the new norm of China, '4S Global Strategy' establishes the theoretical and practical framework for the internationalization of ZJU, while drawing upon all good practices of current world-class universities." SONG said. ZJU is just one of China's top universities that are striding toward internationalization. In recent years, with the implementation of the national strategies of "rejuvenating the country through science and education" and "strengthening the country with talents", China's higher education has shown a new pattern of opening up and development, and is heading toward the center stage of global higher education with the latest government support through "Double First-Class Initiative". China is exporting a larger number of students for overseas study, while more and more foreigners are seeking tertiary education in Chinese institutions, which has led to a higher level of internationalization in human resources development. In 2016, the number of Chinese students studying abroad reached 545,000, covering around 180 countries and regions, and China has become the world's largest exporter of foreign students. In the same year, over 443,000 foreign students were studying in China, making China the first destination in Asia. In addition, China is showing a strong "magnetic effect" for overseas talents, witnessing the largest tide of Chinese students returning home after studying abroad since the founding of the People's Republic of China in 1949. By the end of 2016, the total number of returned students in China had exceeded 2.65 million. Founded in 1897, ZJU is one of the earliest modern academies of higher learning founded by the Chinese themselves. After 120 years of development, it has become one of the top universities in China. According to the data released by Essential Science Indicator (ESI), as of November 2017, ZJU ranked among the top 1% in 18 disciplines and was listed in the top 50 of the world's academic institutions in 5 disciplines, registering the best performance among mainland Chinese peers. With more and more cooperation between Chinese and foreign universities, China is pooling its education resources with international partners. By the end of 2016, China had established educational cooperative and exchange relations with 188 countries and regions, carried out educational collaboration and exchanges with 46 international organizations, and signed agreements with 47 countries and regions on mutual recognition of academic degrees. There are 2,480 Sino-foreign cooperatively-run education institutions and projects approved by the Ministry of Education of China. As of September 2017, ZJU has established different forms of cooperation with more than 170 universities or educational institutions in 34 countries on five continents. In 2016, more than 4,800 ZJU students participated in international exchange and over 3,400 international degree students were attracted to its campuses. Commenting on the internationalization of Chinese universities, Professor Krein said that against the backdrop of globalization, mankind is faced with more and more common challenges; meanwhile, globalization also provides unprecedented opportunities for cooperation in higher education. Through inter-cultural and cross-regional cooperation, students will have more chances to develop their ability to research and innovate, become creative talents leading the future, and better serve economic growth and social progress.